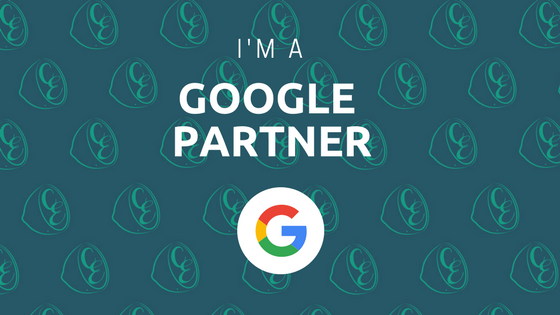 A few months ago, something super exciting happened – Cutting Edge Digital was awarded Google Partner Status! I’ve been waiting ever so patiently (well, maybe not so patiently!) to hit this milestone for my business. When I started Cutting Edge Digital in 2016, I already had my Google AdWords certifications under my belt, having passed the required amount of exams to be Google AdWords certified. Tick 1. After just a few short months I had reached the required ad spend of $10,000 (US) in my manager account. Tick 2. And finally, in September, I reached the 12 month mark for managing client spends in my manager account. Tick 3. So now you can be even more relaxed when you choose to trust me with your Google AdWords management. One of the perks of being a Google Partner is getting valuable insider knowledge about the trends and news within Google AdWords in Australia and across the world. I also have my own contact at Google in Sydney, who is on hand to offer advice and SEM strategy on my client accounts – although I’m pleased to say that most of the time they’re pretty impressed with the tight ship I run for my clients and I’ve already implemented most of the things they suggest! If you’ve been dabbling in Google AdWords and just aren’t getting the results you want, get in touch with me for a free Google AdWords review today. I’ll look over your campaigns, ad groups and keywords to see what’s going on and how it can be improved. I’ve done heaps of these in the last 12 months and I can honestly say I’ve seen maybe 2 accounts that were well-structured and running well. The rest? Well, let’s just say they needed a lot of work! Email me today and let’s start getting you the results we both know Google AdWords is capable of! For Google AdWords management in Perth that actually works, call me today!